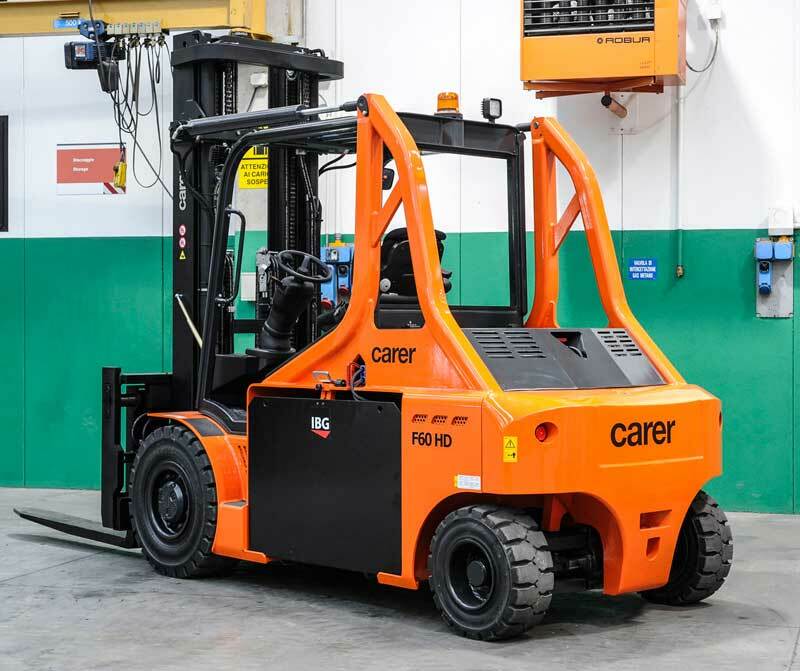 Designed to withstand long operating time at very high performance levels, F60-80 HD (Heavy Duty) can be considered the highest expression of the principles and technology developed by Carer over the years. 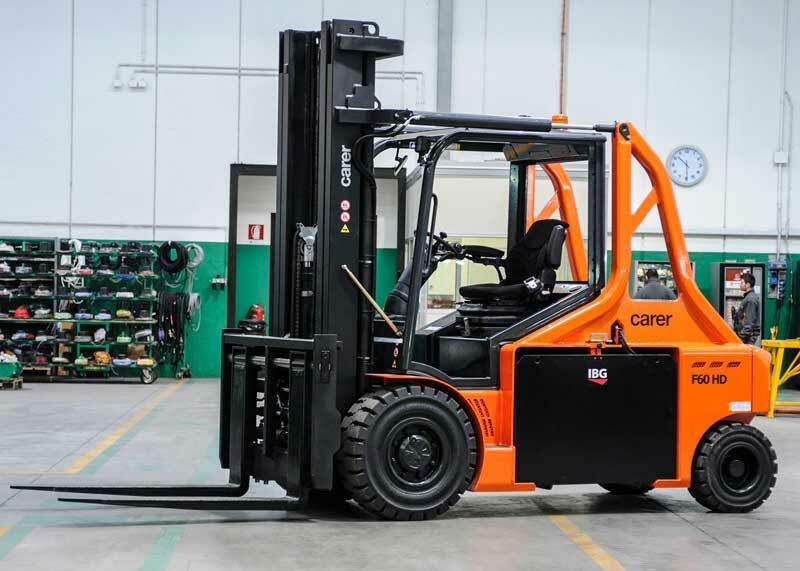 Thanks to the super steer axle, the electronic differential, the noticeable compact design of the lift truck and maximum comfort of the driver’s seat, the F60-80 HD is the right electric lift truck for particularly heavy duty applications, even in confined spaces. 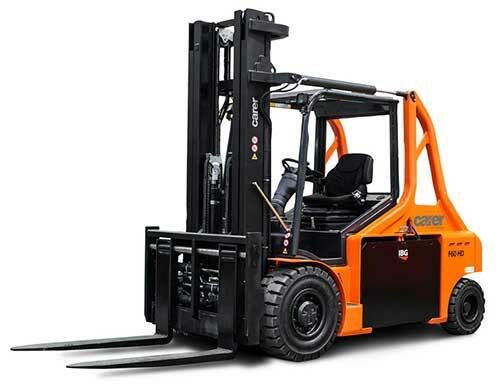 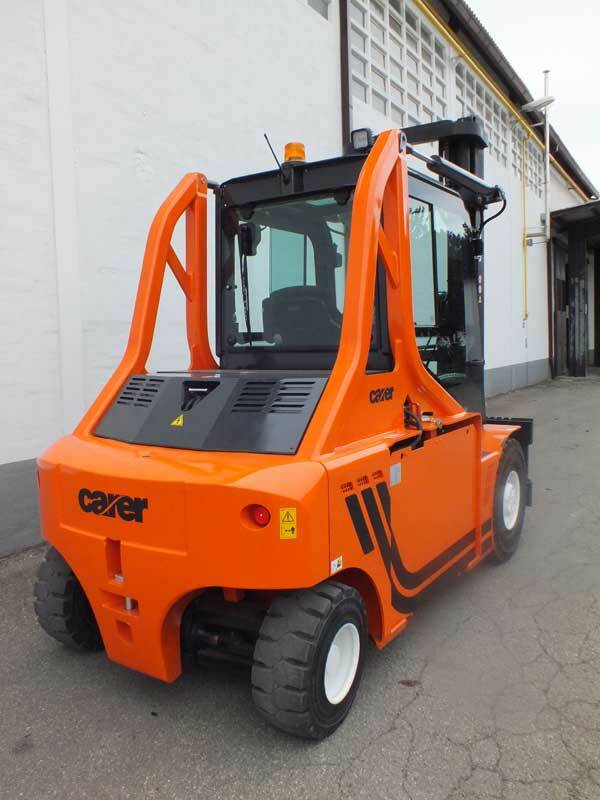 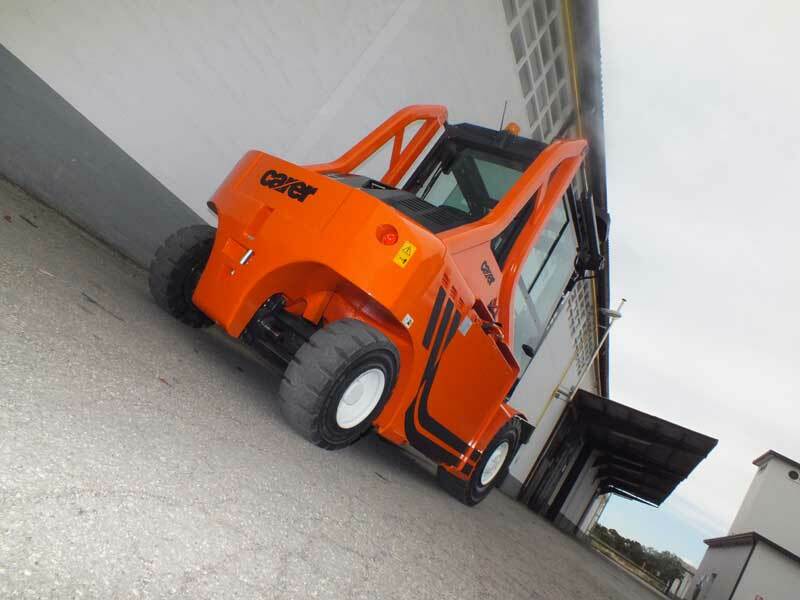 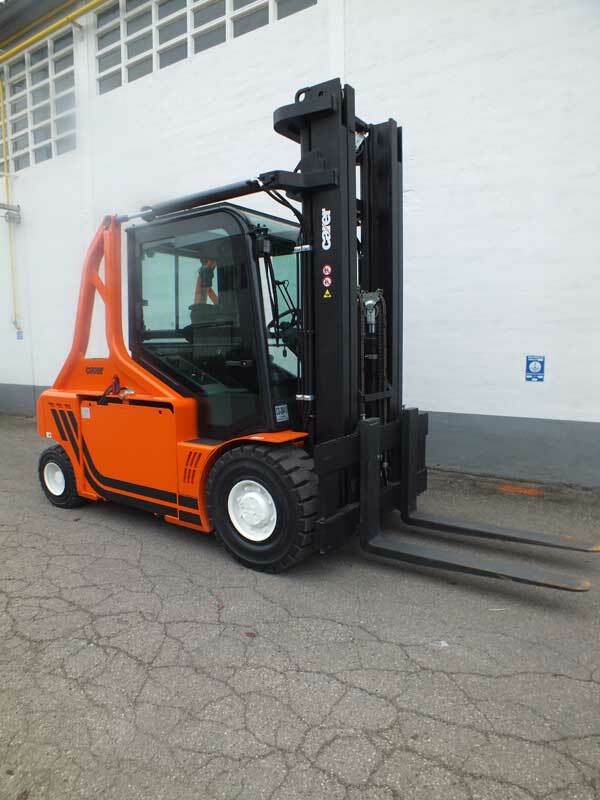 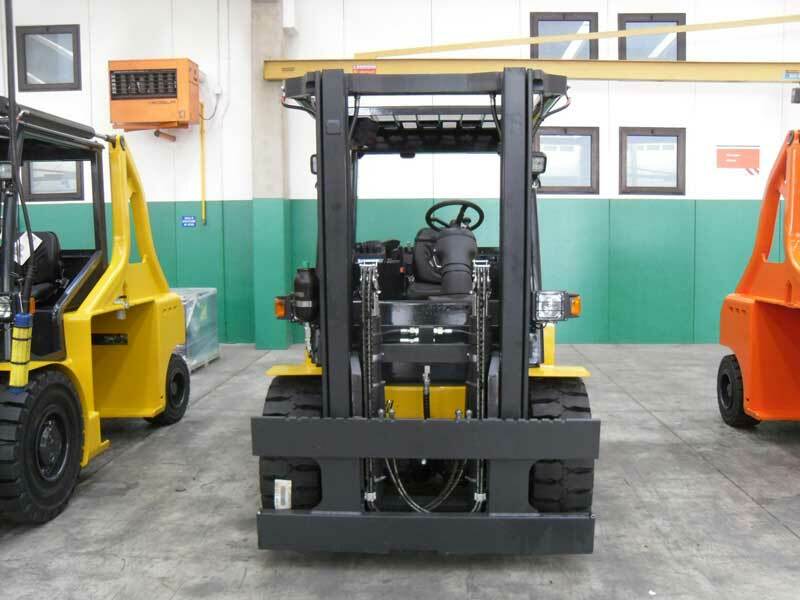 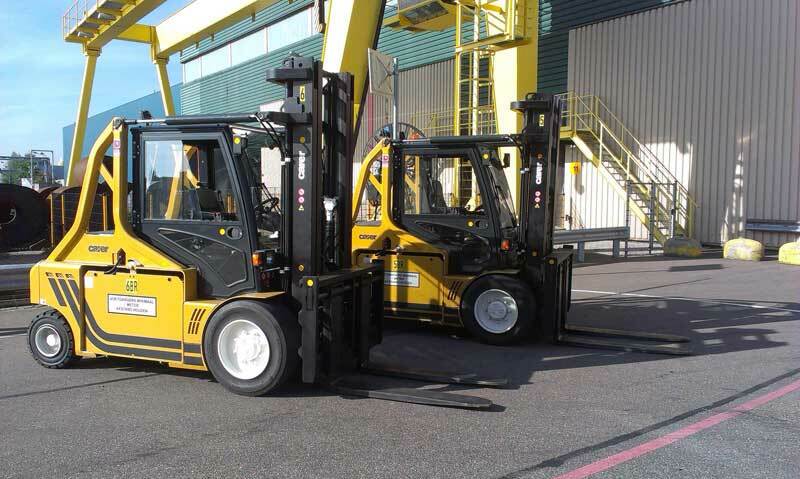 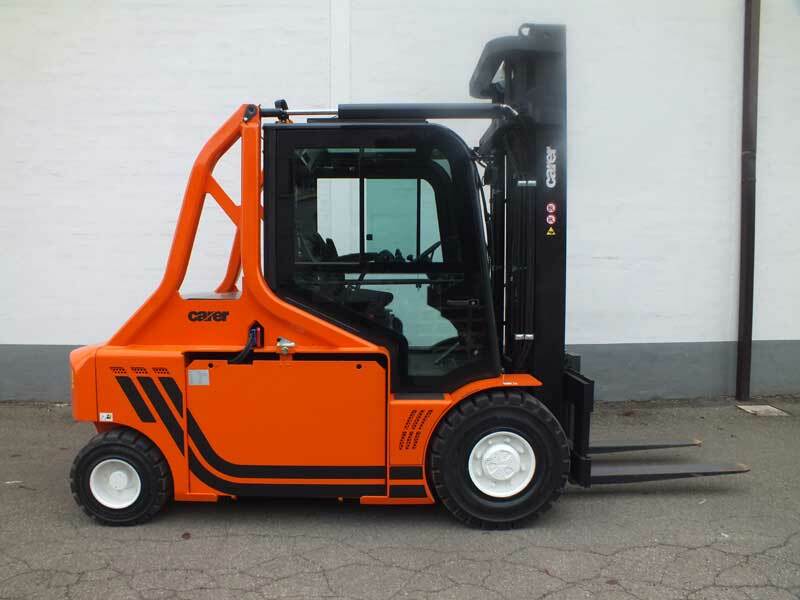 Fitted with two 20 kW traction motors and a 45 kW AC hoist motor, this forklift truck can reach a speed of 18 km/h in traction mode and 0.48 m/s in hoisting mode. 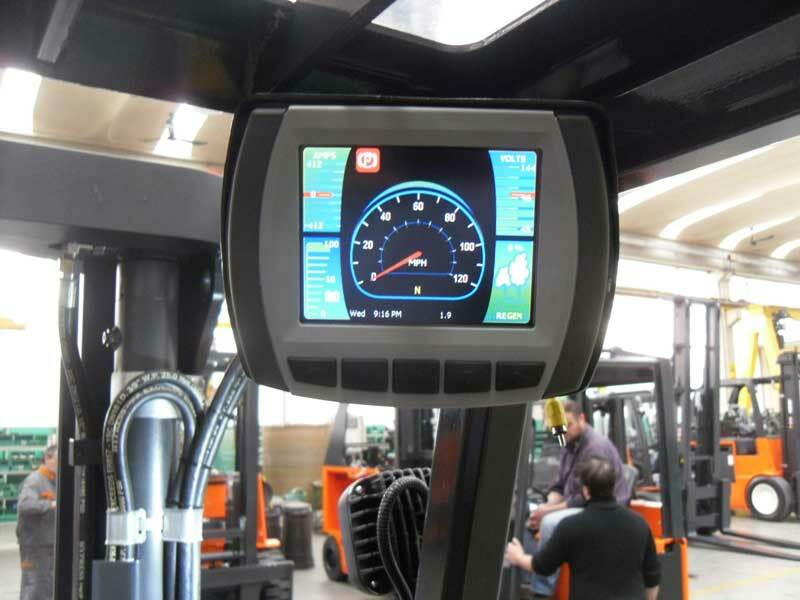 The option of adjusting the parameters of the electronic system with an advanced multi-function display means the lift truck settings can be customized according to operator applications and routines by achieving a balance between high performance or long operating time.